Open: Monday – Friday, 8am to 5pm PST and by appointment. One block S and E of Safeco Field Across from the Outdoor Emporium, Free Parking! Click here to see Seattle Office! “I wanted to let you know that your level of service has been excellent. When we’re building a high rise like the Washington Mutual Tower, it is absolutely necessary to the safety of our people and the efficiency of the job that we have our Motorola 2-way radios and Nextels working on all cylinders. When we had units go bad, you were out to pick them up or fix them that day. When we had coverage problems because of a job office move, or the way the building was maturing, you were able to provide us with repeaters and amplifiers that allow us to communicate. It was also convenient to be able to stop into your full service shop by Safeco Field when necessary. 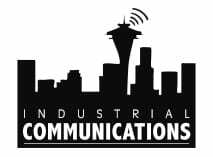 “I wanted to take a minute and let you know how happy we have been with your service of our 2 way radios and man-lift communications on our 929 Office Tower project in Bellevue. When we call your company, either you or one of the your techs is on site within a day and any radios that you have to take into your shop are turned around in a very timely manner as well. I know that our company has dealt with Industrial Communications over the years and has been very happy with your level of service, but I wanted to thank you for your help specifically on our current job.